Susie has a degree in nursing – and an MSc in Nursing Practice, which enables her to operate at an advanced level of clinical practice. An Advanced Nurse Practitioner and Independent Nurse Prescriber since 2004, she has a wealth of experience spanning 31 years, both in and out of the NHS. 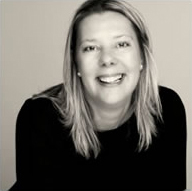 Susie’s decision to specialise in Aesthetic Medicine has been influenced by her primary care experience in the specialist areas of Women’s Health and Dermatology. Susie has undertaken her Medical Aesthetic training with some of the leading edge trainers within the Aesthetic arena. Susie’s passion is the promotion of health and wellbeing, which underpins the ethos at Rejuvenating Solutions for ensuring that only safe and appropriate, evidence-based treatments are performed and being an outstanding clinical hub of excellence. Having worked hard to cultivate and establish an extensive patient portfolio, Susie is now acknowledged locally as a leading medical aesthetics practitioner. This was demonstrated in 2017 when Susie joined MERZ Aesthetics as a Field Clinical Specialist in a consultancy capacity. Susie is a member of BACN (British Association of Cosmetic Nurses), RCN (Royal College of Nursing) and NPA (Nurse Prescribing Association). Susie also sits on the editorial board and writes for the Journal of Aesthetic Nursing. View one of Susie’s articles here.